What is a traditional Pub? York has many places to eat and drink from classy wine bars to student bars and everything in between but a traditional pub is where you can relax with a drink and chat to friends without having to shout over the music. 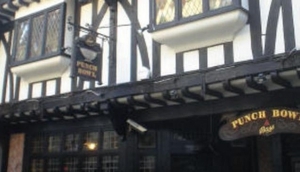 There are lots of traditional style pubs in York. One of the quaintest is the Blue Bell in Fossgate which has not changed inside for decades, it is worth going for a quiet pint here to appreciate the unique atmosphere.